New York, or "Big Apple", as Americans call it - is a city of the American dream, the concentration of American spirit and equal opportunities, the center of all the American and world capital, a city of contrasts, the concentration of extreme poverty and luxury of Manhattan "coloured" quarters, a city with yellow taxis infinitely dashing about, which never sleep. New York City has so strongly absorbed all the features of American life that a detailed familiarization with the city is equivalent to familiarization with all the United States. 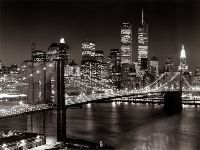 Who does not know Manhattan, Brooklyn, Bronx? Who for at least once hasn't heard about the "black block" of the city - Harlem gangs of New York? However, the sights of the cite are not less known: Central Park, Empire State Building, Statue of Liberty and Brooklyn Bridge. The important sign of New York is its skyscrapers. 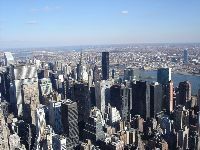 The biggest part of Manhattan and many other urban districts are densely built with multi-storey buildings, but their greatest concentration is in the southern and central parts of Manhattan. New York will give you a comprehensive picture of all the diversity the nationalities living in America, religions, goods and the most frequent social cataclysms in the USA. 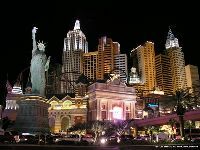 The most incredible jewelry, thousands of monuments of culture and art, cuisine from all over the world, daily fashion shows - all this can be found in New York. New York is a city where everything you find is high-class saying nothing about the New York Hotels.